Belmond takes hospitality to new heights with their river cruises along France’s picturesque riverbanks. Guests need only enjoy the ride as the boat’s chef prepares regional cuisine with seasonal ingredients and local wines and cheeses. Tailor-made excursions from truffle hunting, to go-karting to hot air ballooning can be arranged to make the most of this trip. 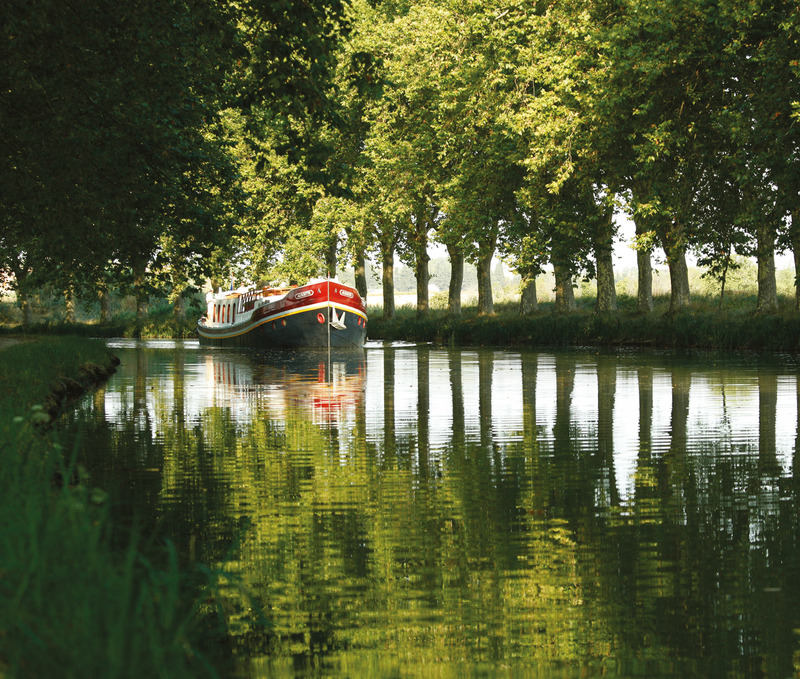 Take your pick from the seven itineraries each with a dedicated boat and serenely explore France’s waterways. Each of the barges in the fleet offer a heightened sense of luxury with spacious cabins with en-suite bathrooms, state-of-the-art technology and Belmond’s renowned hospitality. Visit Burgundy with the cozy Belmond Alouette that glides along the Grand Canal du Midi or onboard the slightly larger Belmond Amaryllis as it navigates along vineyards and villages along the Canal de Bourgogne and the Saone River. The Belmond Fleur de Lys, the largest of the fleet, with its heated swimming pool and spacious interiors will take you along the Canal de Bourgogne to the Ouche Valley. The Belmond Napoleon, the largest in the fleet can accommodate 12 passengers as it cruises along the majestic Rhône. Guests can sip wine on deck beneath a canopy of stars enjoying the scenery of the Provence. Belmond Hirondelle explores vintage vineyards and quaint villages from Dole to Saint-Léger. New additions to the fleet, Belmond Lilas and Belmond Pivoine will take you on a culinary and enological journey through the Burgundy and Champagne respectively.